Architect August Schmidt built a house as a challenge to the accepted conventions of energy solutions and construction practices. Dikehaugen 12 is a small family home sited between tall spruce trees at the outskirts of Trondheim. The project aimed at keeping a high standard in planning, materials, construction, and design, with the architect involved in and in charge of all aspects of the building process; client, designer, contractor and, at times, the builder. 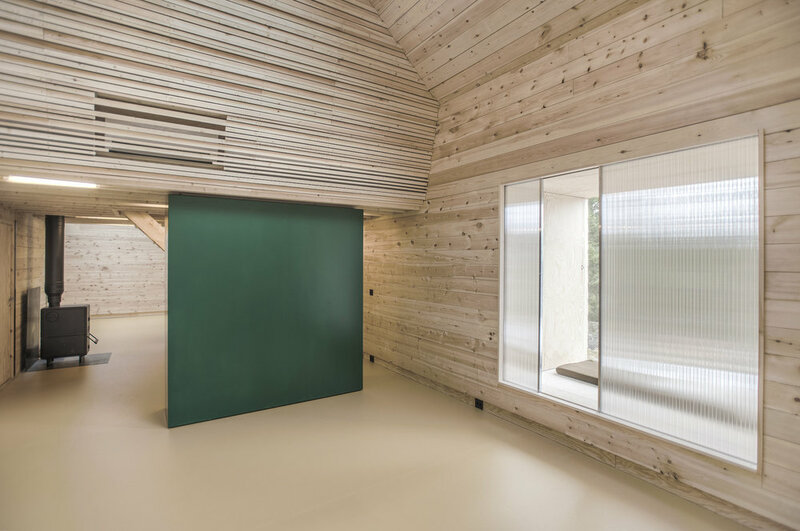 The house is built solely on wood, plant-based, recyclable materials. With its simple and sound solutions and architectural design, Schmidt aimed at giving the house a long lifespan. It has limited heated floor space and binds co2 in its construction, and when it has reached the end of its life, Dikehaugen 12 will produce a minimum of non-recyclable waste.